The Blonde Blogger: HGTV Premiere Week Giveaway! 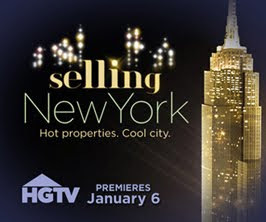 Celebrate the new year with two fabulous shows on HGTV: Cash & Cari and Selling New York! Cash & Cari is a brand new show while Selling New York is celebrating its second season. And both have the fun, vibrant feel that HGTV is known for! 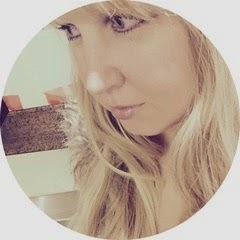 Whether it's a vintage Chanel gown left behind in a disused dry cleaners or a limited-edition pink vinyl copy of Michael Jackson's Thriller, or a Capo di Monte porcelain statuette, antiques dealer extraordinaire Cari Cucksey is always on the lookout for the undiscovered diamond in the rough. Cari travels the country to estate sales, flea markets, attics, garages and anywhere else that peaks her interest in search of obscure pieces to restore or flip for profit. Premieres Monday, January 3 at 10/9c on HGTV. They are assertive, razor-sharp, and always compelling real estate brokers, in the country's most competitive market. In a city of over 8-million people, where the average sale price is over 2-million dollars, the competition to seal the deal is stiff. Now, catch a rare glimpse into a world where a solid reputation at the top of the real estate food chain involves swimming with the sharks, going head-to-head with the best, and rubbing shoulders with the wealthiest and trendiest of New York's social, political and artistic elite. This is SELLING NEW YORK. Premieres Thursday, January 6 at 9/8c on HGTV. I can't wait to tune into both shows starting TONIGHT with Cash & Cari! As if the fun of both shows isn't enough, HGTV is offering readers of So a Blonde Walks Into a Review a terrific prize pack to celebrate premiere week! 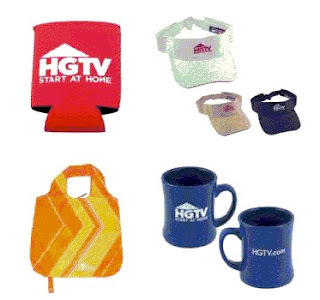 To enter, simply leave a comment on this post letting me know what you love about HGTV or why you would like to win. 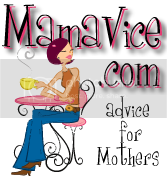 Deadline to enter is 11:59 EST, Monday, January 10, 2011. Winner will be selected at random using Random.org. Good luck! Note: Thank you to HGTV for providing the prize packs for this giveaway. I like that they show extravagant design/decorating and more sensible shows for those of us on a budget. I love to watch the HGTV shows to get ideas on how to improve my home--usually without spending too much money. I like that I can get different ideas on things to do to my home. I also like watching to see how other people live. Thanks. I love HGTV because their decorators have such good ideas for home decor and their landscapers do such beautiful yards! I love their shows because they feature beautiful houses and stylish interior decorating (even for thos who have a small budget). Thanks! I love the shows on HGTV because they give me so many great decorating ideas that won;t break my budget. I love seeing the different living standards on House Hunter's International. It would be awesome to be on that show. I love the HGTV shows because I get decorating ideas and it's fun to see which house people choose on House Hunters. I love the new Cash & Cari show too. I like HGTV because it has shows that give me ideas on what my house could look like. I love HGTV because they inspired me to do it myself. What don't I love about HGTV? I love the great ideas I get. I especially enjoy Design Star and House Hunters. I am a huge fan of HGTV. I love just all their programs! I love HGTV because they inspire me to get up and do something. 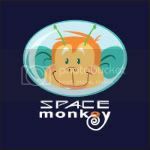 I have tried so many projects since getting HDTV on my satelite package. I love watching HDTV because it gets my creative juices flowing, when i'm watching their programing. I love the variety of shows and ideas HGTV provides! This is my mom's favorite network. I like HGTV because it's entertaining. I love their yearly home giveaway! The show you how to upgrade you home in cost efficient ways.